Ever heard the term 'location, location, location'? This is something we also believe in and will do our best to make sure that we can get the best property for your needs if you do or don't have the time to look for yourself. Whether it be a small renovation, extension to your house or a larger multi-dwelling development site we will be able to assist your needs. Time is important in any development, the quicker you can get this process done the better off you are. 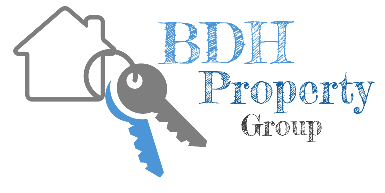 BDH Property Group does our own Town Planning drawings and submissions in house so we will be cheaper and faster than any competitor. With the extensive market knowledge and experience you know we are designing a property to maximise investment returns. The Director Benjamin leased 500 properties in a calendar year followed by 482 properties the next calendar year. There is no one better to help you lease your property. Whether it is an existing property that you own or we go through the development process with you, leasing is a service that we offer. Have you ever bought a property specifically through a Real Estate Agency just because of their brand or fancy brochure? If the answer is no and you have a property that you want to sell at a lower cost than other agents or you go through the development process with us, either way we have a vested interest in providing you a good service. Being a Real Estate Agency gives us the opportunity to sell our own stock and be involved in the process all the way through. Being a consultancy group we have a great core group of people that we work with to assist you with such tasks as site selection, acquisition, design,planning, construction and right through to the leasing and property management. Whether you have existing property that you want managed at a lower cost or you go through a development process with us and manage the project for you. Property Management is a service that we provide. Call or email our Director Benjamin on the contact details below.